Sucking lice: Linognathus vituli; Haematopinus eurysternus; Solenopotes capillatus. *IVOMEC Injection given at the recommended dosage controls infections of Dictyocaulus viviparus, Ostertagia ostertagi and Oesophagostomum radiatum for 21 days after treatment; Haemonchus placei, Trichostrongylus axei, Cooperia punctata and Cooperia oncophora for 14 days after treatment. Gastrointestinal roundworms: Adults and immatures: Haemonchus contortus; Ostertagia circumcincta; Trichostrongylus colubriformis; Cooperia curticei; Oesophagostomum columbianum; Chabertia ovina. Adults: Trichostrongylus axei; Oesophagostomum venulosum; Trichuris ovis. Lungworms: Dictyocaulus filaria (adults and immatures). Gastrointestinal roundworms: Large roundworms, Ascaris suum (adults and L4); Red stomach worm, Hyostrongylus rubidus (adults and L4); Nodular worm, Oesophagostomum spp. (adults and L4); Threadworm, Strongyloides ransomi (adults and somatic larvae). Somatic Threadworm Larvae (Strongyloides ransomi). Sows must be treated at least seven days before farrowing to prevent infection of piglets. Mites: Sarcoptes scabiei var, suis. Looking for ideal Ivermectin Injection 100ML Manufacturer & supplier ? We have a wide selection at great prices to help you get creative. 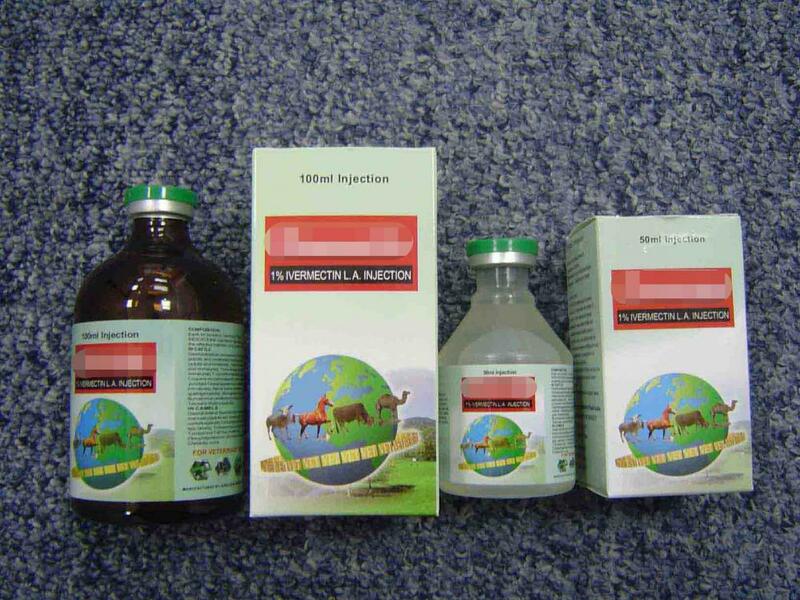 All the Ivermectin Injection Veterinary Injection are quality guaranteed. We are China Origin Factory of Veterinary Ivermectin Injection. If you have any question, please feel free to contact us.